The East District Schoolhouse was built in 1789. Lydia Huntley Sigourney, famous poet and beloved ward of Jerusha Lathrop, attended school here. Students were taught spelling, geography, and mathematics. 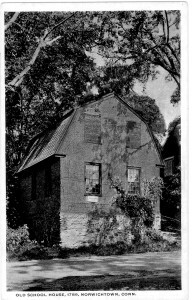 The progressive single room schoolhouse taught both boys and girls. The building is in the Colonial/Georgian style and is similar to the Lathrop Schoolhouse on the Norwichtown Green. Neighboring the schoolhouse is the home of T homas Williams, a prominent tailor in Norwich during the colonial period. 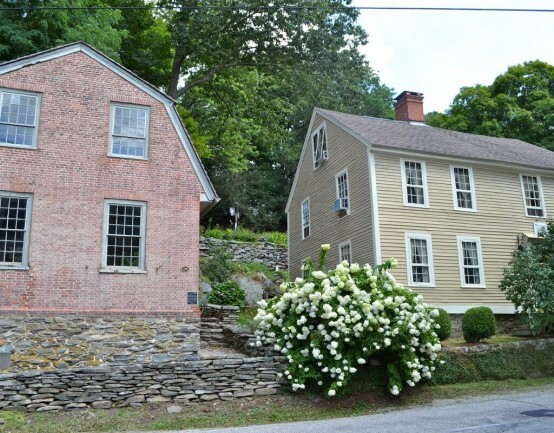 His shop used to be on the property and the home is in the Colonial Style and is a “Norwich Plan” house (c. 1760).